On February 4, Bloomberg broke the news about a deal between Google and Twitter, allowing tweets to appear in Google’s search results as soon as they are posted. This immediately led to a great deal of speculation and discussion about what the deal meant. 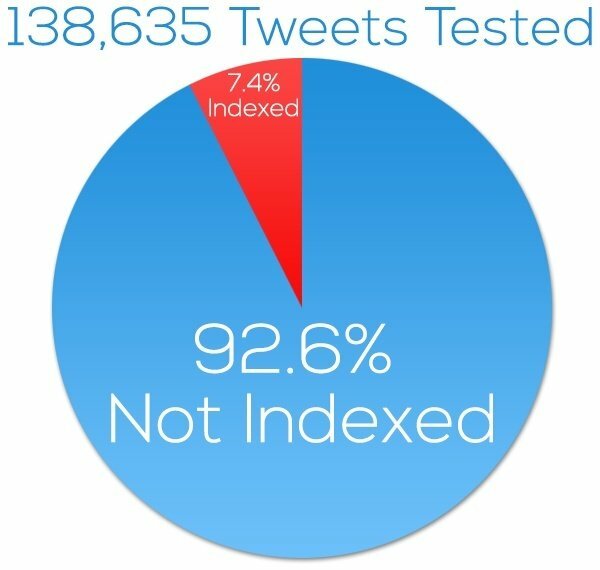 According to this data, it took up to seven days to get 1 percent of the tweets tested into the Google index. Clearly, Google is showing little urgency to get tweets into their index fast. How Will the New Deal Help? Currently, Google must crawl Twitter to obtain the content within tweets. If Google were to try to crawl Twitter frequently enough to discover breaking news or to index tweets when they are really fresh (i.e., within the hour), they would rapidly bring Twitter to its knees. In addition, chances are good that even the massive crawling infrastructure of Google would be strained or overwhelmed by the task. In the new deal, Google will receive data from Twitter in real time via a data feed. Google will not need to do any crawling at all to obtain the information they are looking for. As a result, Google will suddenly get tens, or hundreds, of times more access to the tweet stream, and with potentially less effort. 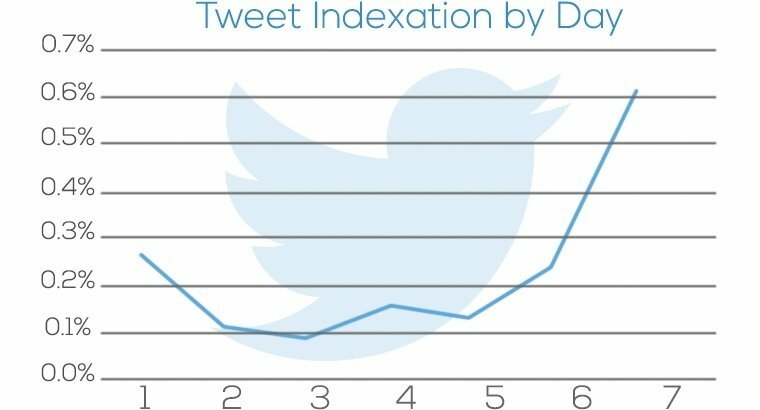 This does not necessarily mean that Google will index every tweet, but they are likely to index far more of the content than they do now, and they will do it much faster as well. This is what is in the deal for Twitter. They want their content discovered faster, and they want it to show in Google’s search results so they can get more exposure and, hopefully, more people to sign up for their service. 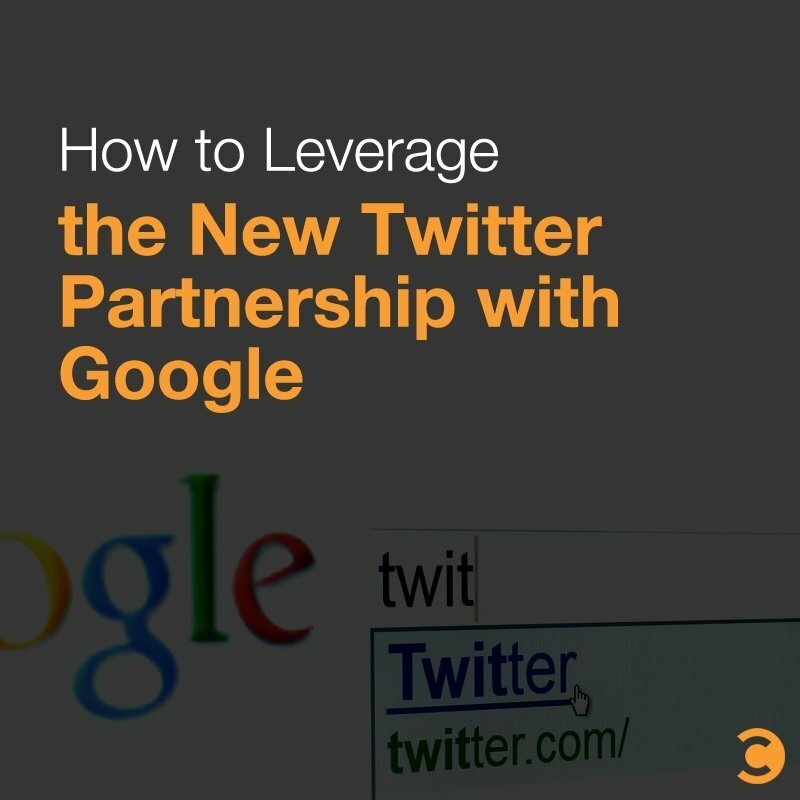 What about using Twitter to help Google discover new web pages? Will tweeting a link to those pages cause it to be found? In our test on How Tweets Can Speed Google’s Indexation of Content, we showed that it’s possible that it can. In this test as part of the IMEC Labs, we created three web pages and posted them on our web site, but none of these pages had any links to them, and there was no Google code on the pages. In other words, there was no way for Google to know that the pages existed. Then for two of the pages, we had six or seven people tweet links to the page. One of these was tweeted with the hashtag #singersongwriter, and the other with the hashtag #searchengines. The third page was ignored and was simply designed to be a control page. The #singersongwriter page was indexed, but the other one wasn’t. Nonetheless, it seems clear that there are at least some times when Google does mark links it sees inside of tweets for potential crawling and indexation. (You can read the study for more details and backup for this statement.) Note that our study was using highly influential accounts to tweet the links, so it’s possible that tweets from profiles with less authority may not help as much. With the new deal, it seems likely that this phenomenon will happen a lot more often. Google will also be able to look for situations where lots of tweets appear to be referencing new content that it’s not aware of. Having your content shared via Twitter could help you get SEO traffic to that content even sooner than you otherwise would today. We know that Google is interested in discovering the content (be they web pages or tweets) that end users value the most. For this reason, we can expect Google’s algorithms for leveraging the Twitter data stream to focus on finding the most high-value content. While we can’t know in advance what algorithms Google might implement, we know what we can measure for ourselves, and that’s our success at driving engagement on Twitter. This is where our final study, Maximizing Engagement on Twitter, comes into play. As your engagement grows, chances are good that Google’s attention to your tweets, and to the links you include in those tweets, will grow . While we don’t know if Google will be getting retweet count data from Twitter, it’s my belief that this is something that Google will try to derive one way or the other. Does that mean you should include an image with all of your tweets? Probably not, as that might overwhelm the people who follow you, particularly if you do a large number of tweets every day. 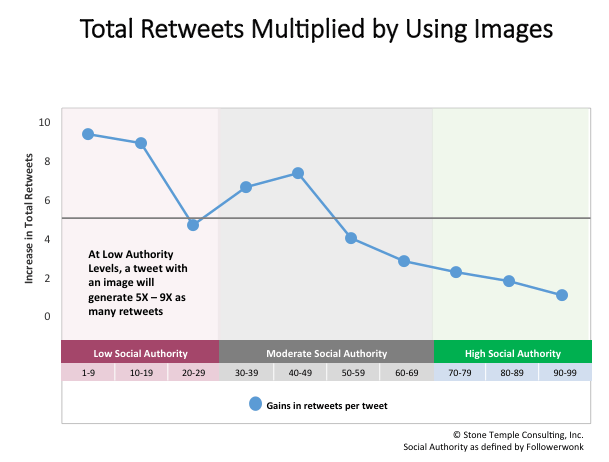 What it does mean is if you have a tweet which is particularly important to you, do include an image, and do spend some time crafting that image to be both relevant to the content in your tweet and to the viewing audience. Hashtags were also shown to be important, as was tweet length. Links within a tweet appeared to be not much of a factor, and time of day appeared to have no impact at all on the likelihood of being retweeted. What’s most important is that you find a formula that works for you. Measure your engagement progress over time, and make sure that you are continuously improving. It’s my belief that this will cause Google to pay more attention to your tweet stream, and index more of it, over time. In addition, the relationships you build with others, which was not the specific focus of our studies, are incredibly important. If you have dozens of influential friends who regularly tweet or retweet your stuff, that’s awesome — congratulations! If not, begin working on building those relationships. Even if you are just getting started on Twitter, if you bring a lot of value to the conversations there, you may be able to build some influential relationships quite quickly. As noted in the section header, the next few paragraphs represent speculation on other factors that could come into play with this deal. We’ve known for a long time that Google+ is used in personalizing the search results. If I +1 a page, or share a link to a page, that page may show up higher in the search results for me when I later search for phrases to which the page is relevant. So here is the $64,000 question: Will Google start using these types of signals from Twitter to personalize search results as well? 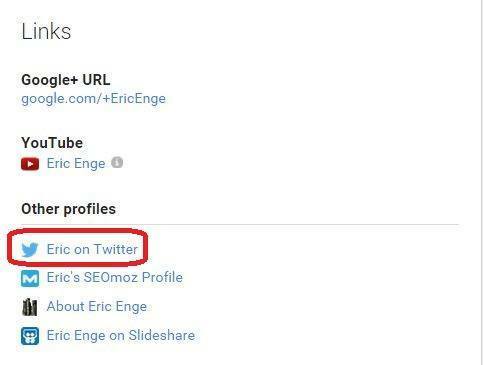 If they know it’s my Twitter account, and they can see pages for which I have included links in my tweets, they would decide to rank that page higher for me in the search results. Do I think this will happen? I think it very well could. Data is king at Google, and the ability to do something like this is likely a part of the reason for Google to do the deal, in my opinion. Note that there are other types of personalization that Google does leveraging Google+, but it’s a lot more involved and would rely on Google also getting follower/following data from Twitter, and there is currently no indication that they are also getting that level of data. If they do end up getting that kind of data as well, then watch out, because the impact will be even larger. The new Google-Twitter deal makes Twitter a bigger player on the overall digital media landscape, and it makes Twitter more important to your overall digital strategy. Set yourself up to benefit as much as possible. If you already have a strong Twitter focus, this gives you a chance to double down and get even more out of it. If you are just getting started on Twitter, fear not—there is still a lot for you to gain over time.